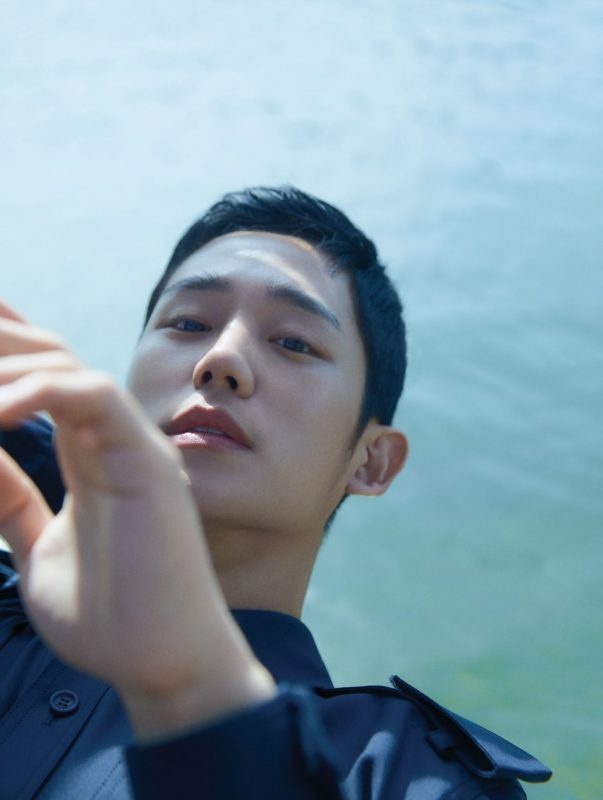 Rising to prominence in 2017 for his roles in two Korean TV series While You Were Sleeping and Prison Playbook, Jung Hae In (@holyhaein, 정해인) is one of the rising stars and heartthrob loved in the Korean entertainment industry. 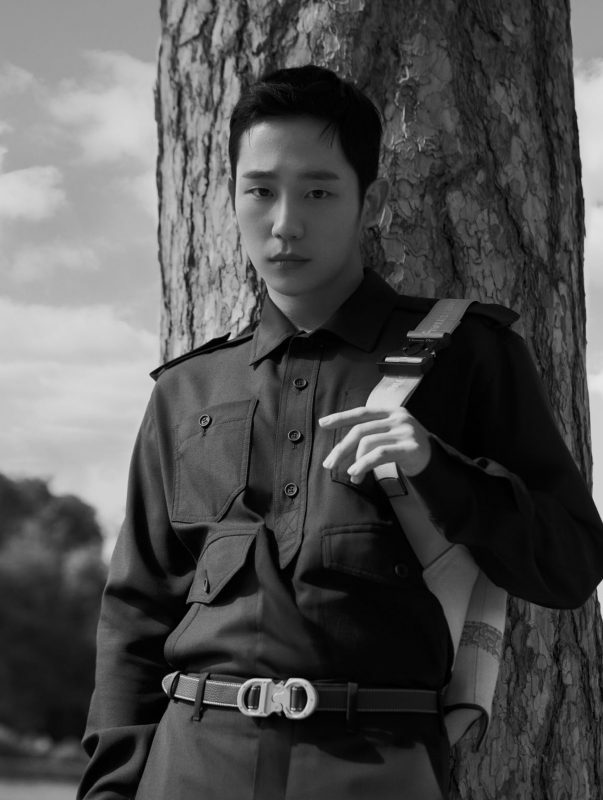 And this rising star firmly made his stand when he got his first lead role in the romance drama Something in the Rain and also starred in the historical film Heung-boo: The Revolutionist in 2018. Recently, he was also one of the main stars who attended Kim Jones’ Dior Men show in Tokyo and had the world buzzing with excitement with his flawless looks, acting talent and impeccable style. With over 2.8 million followers on Instagram alone, Jung firmly stands out of the crowd in the Korean entertainment industry, and right now, Jung stars on the cover of Men’s Folio Malaysia February 2019 issue in Dior Men. Interview by Seo Dong Hyun. You attended the first Dior Men show by Kim Jones last summer. How do you feel about the “new” Dior? Kim Jones’ Dior collection showed the brand’s unique strength and softness at the same time. In addition to the clothes, all the things that I saw there, including the huge KAWS artifact covered with real flowers and circular runway, impressed and amazed me beyond words. esides seeing Kim Jones’ first collection in person, I was also the first person to wear the pieces from the collection after the show. It was a meaningful experience for me. How was your time with Dior in Paris? Seoul had a very hot summer, but I think it was different in Paris. It was my first visit to Paris and my first time attending such a show, so I was very excited, and everything was new and great. It was a short visit, but the weather was really good while I was there. I experienced many new things while taking part in the show and a photoshoot; I had an especially good experience working with a team of nice people. You have been a hot topic everywhere. I think 2018 meant a lot to you as an actor. How would you define the year in a single word? “Concentration”. I was so busy every day, so I think concentration was what made those days meaningful and valuable. Following the drama Something in the Rain, you experienced a tremendous rise in public attention and popularity. How do you feel about that? I think Something in the Rain was popular to a great number of people because they truly loved the drama. I would like to express my sincere thanks to the director, writer and actors who made it enjoyable, and to those who enjoyed the drama. When I look at you, I see an actor who genuinely loves acting. I heard that you were cast on the street by chance, which made you decide to major in acting in college. So, what actually made you decide to pursue a career in acting – and did you expect to come this far? After taking the college scholastic ability test, I chose to major in acting because I was cast on the street. But I didn’t think it would come this far. I only decided to pursue acting seriously when I joined the military. The more I get into acting, the more I develop the professional consciousness and the more I like acting. Many people think of Jung Hae In as an honest, modest and sincere person. Do you agree? How are you with people you’re close with? 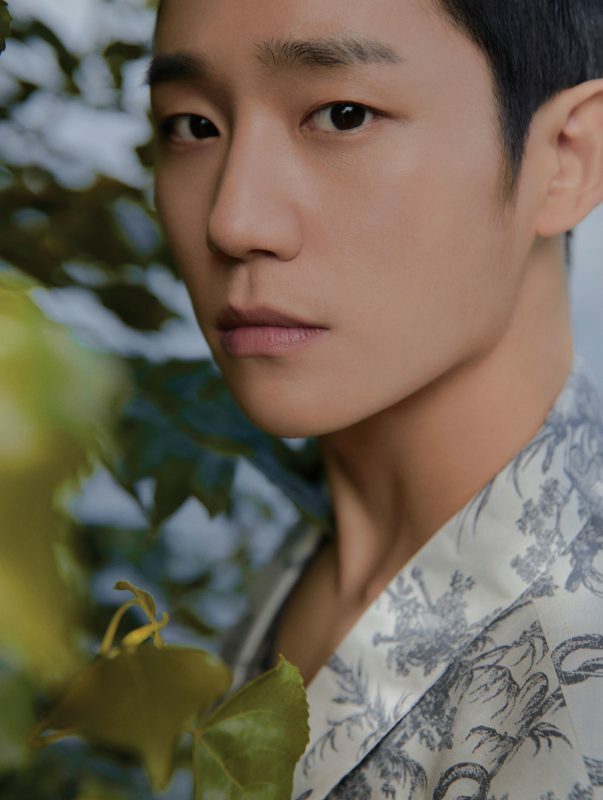 Read the full interview feature with Jung Hae In and see his full photoshoot with us in our latest Men’s Folio Malaysia February 2019 issue, now out on newsstands, bookstores and online via magzter.com. Photography: Kim Hee June; Styling: Yun Seulgi; Art Director: Lee Kwang Hoon; Hair: Sungchan; Grooming: Lee Soon Yeol; Outfits: Dior Men.